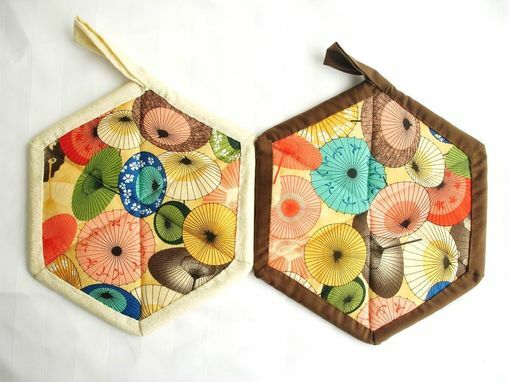 These potholders are made using the one-block-wonder technique. 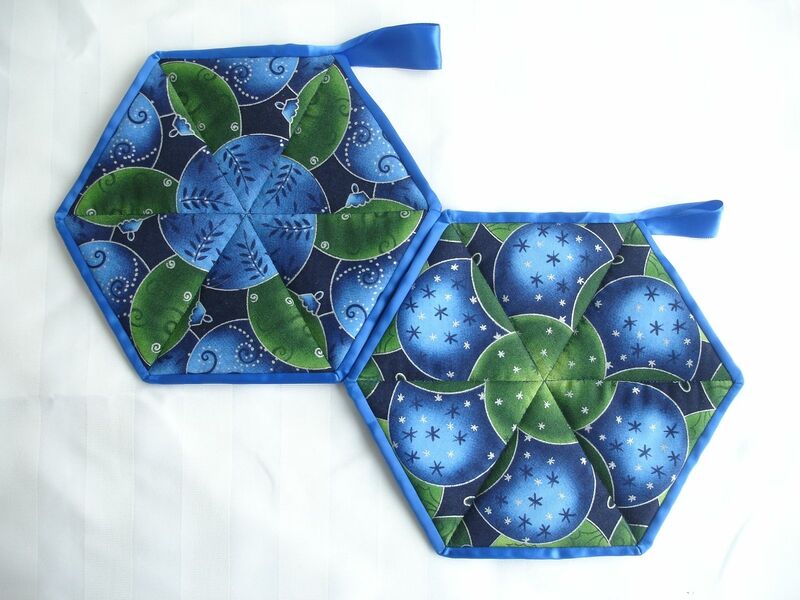 The same triangle of print is cut from 6 separate repeats in a length of fabric, then stitched together to create the kaleidoscope effect (front). The back features the un-pieced fabric to show the transformation. 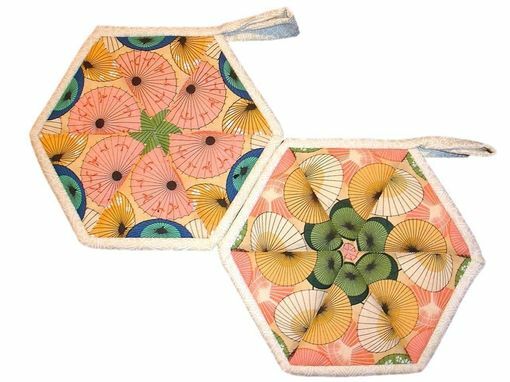 Each potholder measures 7.5" to opposite flats and has a built-in loop for hanging. The internal layers include a layer of Insul-Bright batting (insulating, so that heat is reflected back to the source) sandwiched between two layers of Warm and Natural batting for extra loft and comfort. Machine pieced, machine quilted, and the binding is hand finished. 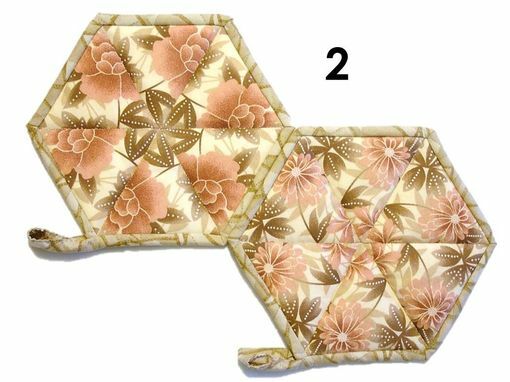 All fabric is 100% cotton (quilter's grade) and the binding is either the same quality cotton, or sometimes a satin ribbon is used for a more festive feel. Fabric is not pre-washed. Cost listed is for a pair of potholders.